Response: Antibiotics for multidrug resistant Gram-negative infections are desperately needed. Cefiderocol is the first siderophore antibiotic to reach patients. Siderophore antibiotics bind to free iron and use the bacterial active iron transport channels to cross the outer membrane of Gram-negative bacteria. Laboratory studies have shown that cefiderocol is active against multi-drug resistant Gram-negative bacteria, often where no other antibiotics are active. It is able to overcome most types of antibiotic resistance due to its active transport into cells and stability against all carbapenemases. The need for antibiotics for carbapenem resistant Gram-negative infections is described as a critical need by the WHO. This trial was the first in humans with serious infections and demonstrated excellent efficacy in a complicated patient population where almost ¼ were over 75 years of age. Additionally cefiderocol did not appear to have any safety problems, and was well tolerated. Response: Antibiotics for the most serious drug resistant bacteria are being developed and this points to a potential treatment where no other active antibiotics may exist. Clinical development of this antibiotic is continuing. Response: Trials are ongoing in hospital acquired pneumonia and carbepenem resistant infections. These will give further information about the utility of cefiderocol in these areas of unmet need. 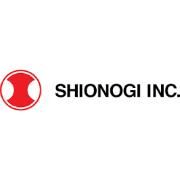 Disclosures, I am an employee of Shionogi Inc. This entry was posted in Author Interviews, Infections, Lancet, Urinary Tract Infections and tagged antibiotic resistance, antibiotics, TheLancet by Marie Benz MD FAAD. Bookmark the permalink.